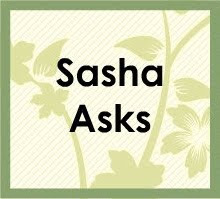 Sasha Says: Sasha Asks: Favorite Movie? Today's question is "What is your favorite movie?". My love of classic rock led me to become obsessed with rock biographies while in high school. I devoured Hammer of the Gods: The Led Zeppelin Saga and I'm with the Band: Confessions of a Groupie by Pamela Des Barres and imagined myself living the tales. Although shy and ever-conscious of authority, I longed to be a bit more daring and have that exciting life that revolved around rock and roll. So when the movie Almost Famous starring Kate Hudson came out 2001, I was so excited! Another chance to have a glimpse of that life that sounded so very intoxicating and thrilling to me. I wasn't disappointed at all- I found it to be enthralling and I couldn't take my eyes away. Genius, pure genius. I'd love to hear in the comments- what's your favorite movie? And join in tomorrow- the question will be "What's your favorite TV show?". Favorite movie is Coal Miner's Daughter...hands down! Has been since I was a little girl. I was going to grow up and be a Country singer just like Loretta Lynn.